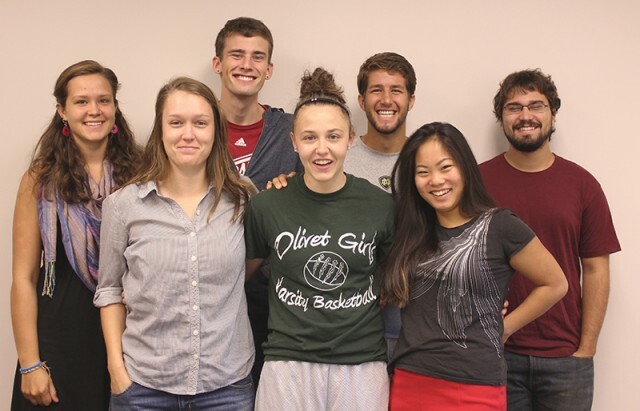 It’s a new year for the Campus Activities Council (CAC) at Goshen College, with new members as well as old. CAC, headed up by Katie Dwyer-Zeman, assistant director of residence life and student activities, has already brought multiple well-attended events to campus, including the James and the Drifters concert. CAC’s mission, according to goshen.edu, is “to provide student led social-programming that promotes an engaged, inclusive, and healthy community on Goshen College’s diverse campus.” This mission will be carried out in a slightly different way this year. For example, Ben Hochstetler, a junior, was in charge of Cosmic Bowling, held at Maple City Bowl this past Saturday night. This opportunity is meant to help develop each member’s leadership skills, as well as provide each member with a chance to take on a different type of responsibility. This reflects the diversity of the student body and should allow for more events reaching to a broader demographic. “We’re doing well with getting new crowds of people involved,” says Kelsey Fraley, a sophomore CAC member. They hope to continue this trend throughout the school year. Other members of CAC include Olivia Ginn and Jared Berkey, juniors, and John Miller, a senior and returning member. Looking ahead, this fall’s Kick-Off theme is a prime example of the creativity of CAC. Saturday Sept. 20 at 10 p.m., following the men’s home soccer game, dress to impress and come to “Sauder-Night Live” in Sauder Concert Hall, located in the music center. Students can also look forward to another movie on the lawn in the near future—there’s even the possibility of a showing of the popular new movie Guardians of the Galaxy. CAC’s events throughout the year will be advertised in many ways and are available to all students.